Introducing our DPRK Culinary Tour, an extra special, VIP tour covering Pyongyang’s burgeoning restaurant scene and taking in some of the capital’s finest off-the-beaten-path street food, bars and night life. Not only aimed at foodies, this is our most extensive tour of Pyongyang, taking in the all the must sites including a visit to the DMZ, Kaesong and Sariwon, while staying at one of Pyongyang’s fanciest hotels the Koryo Hotel. 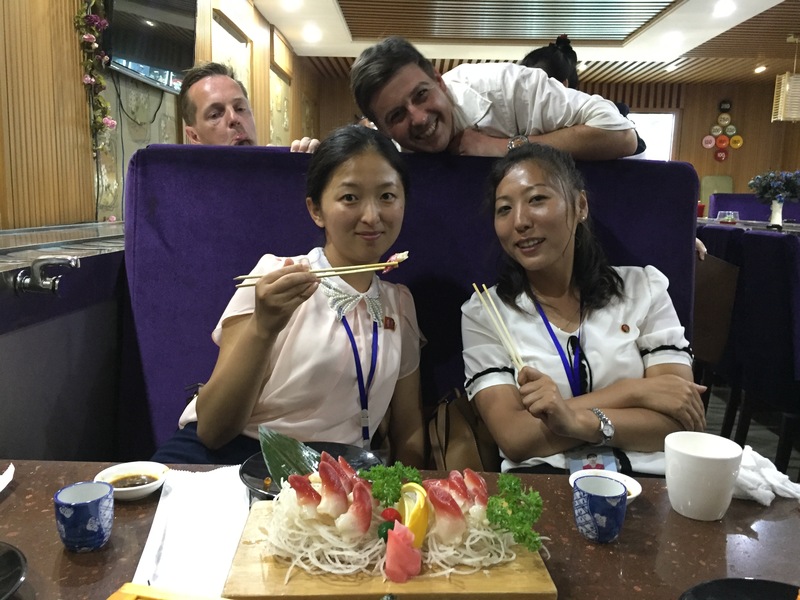 We’ve designed this tour to make every meal extra special, with each restaurant hand picked for providing either a unique story or insight into different food trends or history in the DPRK. 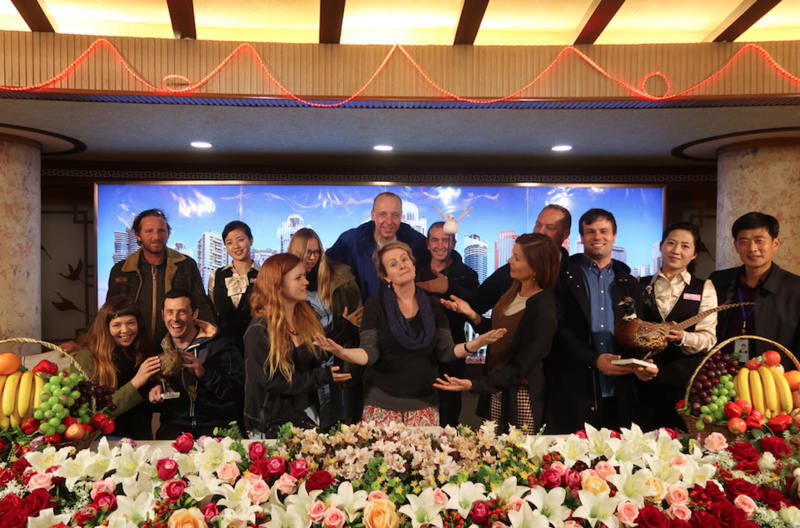 This is our only group tour to visit some extremely special Pyongyang restaurants including the world famous Okryu Restaurant, known as the DPRK’s best Pyongyang Cold Noodle establishment and the newly opened Taedonggang Seafood Restaurant which hosted Marshall Kim Jong Un and President Moon Jae-in in 2018. We’ll also head to some very locals-only restaurants designed for smaller groups, experience the buffet food court on the top floor of the very local Kwangbok Department Store, head to some of Pyongyang’s best cafes for our morning caffeine hits, check out Pyongyang’s very own Italian Pizza Restaurant before finishing our final evening at the Ryugyong Restaurant – the city’s fanciest restaurant and reportedly Marshal Kim Jong Un’s favourite establishment in town! In between all the meals we’ll attend cooking classes in Pyongyang where we will learn to make some classic DPRKorean dishes and also learn to make the traditional Korean Bean Cake using ancient techniques at the Kaesong Minsok Folklore Hotel. 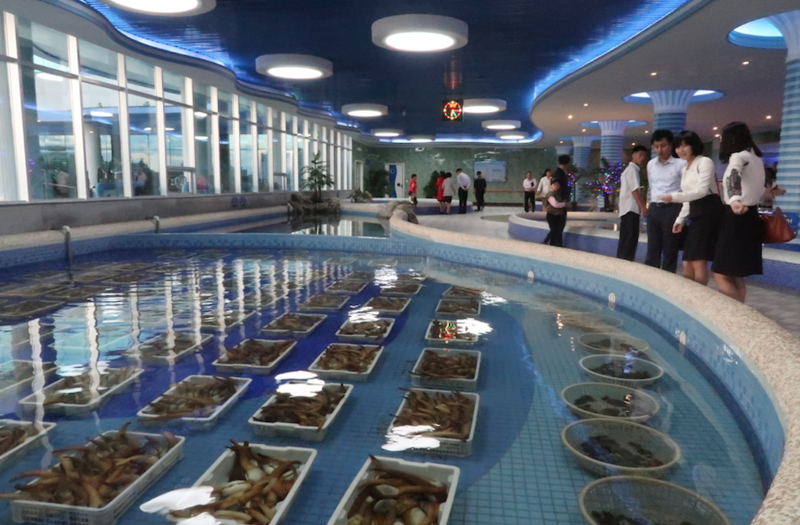 We’ll also learn about the DPRK’s food production techniques with visits to the Catfish Farm and Ostrich Farm, both completely unique to this tour. 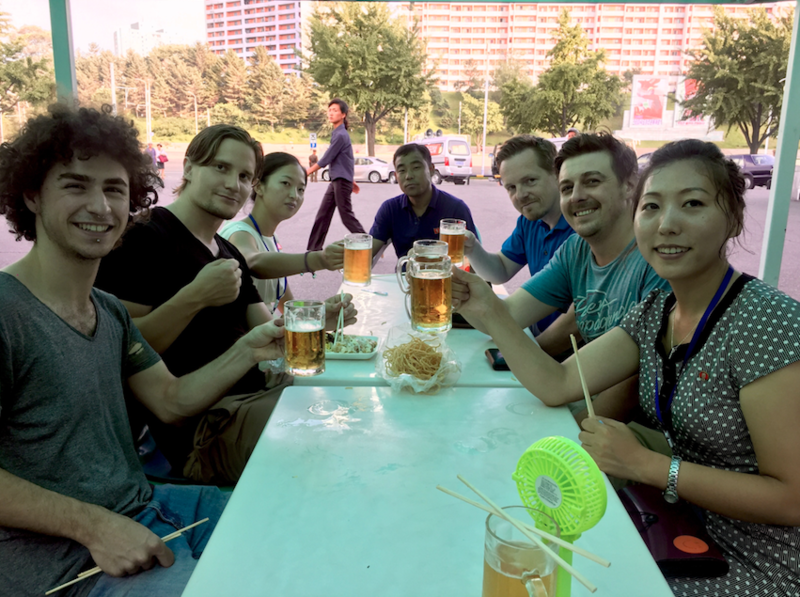 Finally, this is our only tour in 2019 to make a very special visit to the Taedonggang Beer Brewery, the DPRK’s most famous and favourite beer company where we’ll be able to see the brewing techniques, tour the factory and of course try a few samples afterwards. On top of all the VIP restaurants, you’ll have the VIP treatment staying at the Koryo Hotel in the heart of Pyongyang, one of the city’s top hotels with it’s very own microbrewery. Due to the nature of some of the locals-only restaurants this tour will be capped at smaller than usual numbers. Don’t miss out on your chance to experience some extremely unique spots in Pyongyang. Night stroll down Ryomyong Street, newly constructed in 2017 and known as Pyongyang’s ‘Green Street.’ This area houses professors and students of the nearby Kim Il Sung University. Traditional Korean dinner on Ryomyong Street. Grand Peoples Study House – the largest public library in the DPRK with chance to view and even take part in an English lesson. Lunch at Okryu Restaurant – without question the most famous restaurant in the DPRK, known for its Pyongyang Cold Noodles, with the chef here responsible for cooking for Marshal Kim Jong Un and President Moon Jae-in at their first Inter-Korean summit in 2018. Pyongyang Metro! Ride from Stop 1 to Stop 2 then on to stop 6! Exiting to: The Arch of Triumph – The largest Victory Arch on the planet, it celebrates the victory over the Japanese and the return of the Kim Il Sung to his home city. 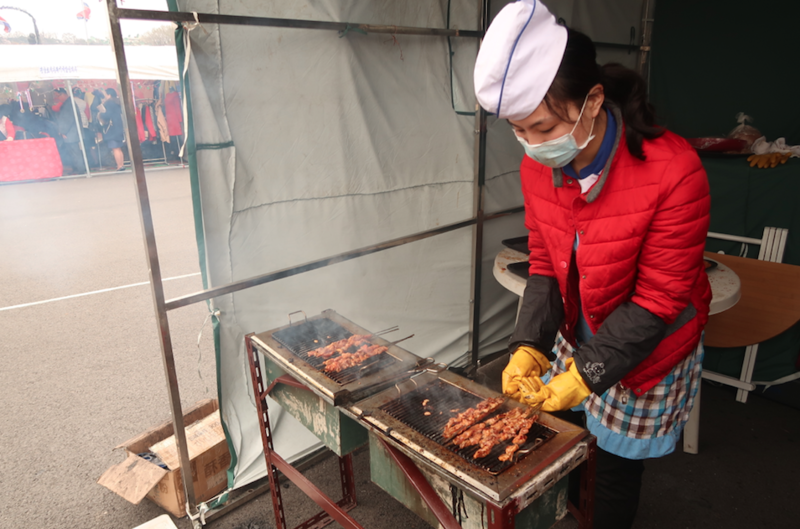 Here we’ll also sample some snacks from the local street food vendors including the North Korean specific injo gogi bap, kim bap and locally made ice creams. Dinner at Taedonggang Seafood Restaurant. Recently opened in 2018, this massive river-side establishment houses multiple restaurants and surreal, giant tanks with live fish and hosted Marshal Kim Jong Un and President Moon Jae-in for dinner in 2018. Lunch at Kwangbok Department Store Food Court! 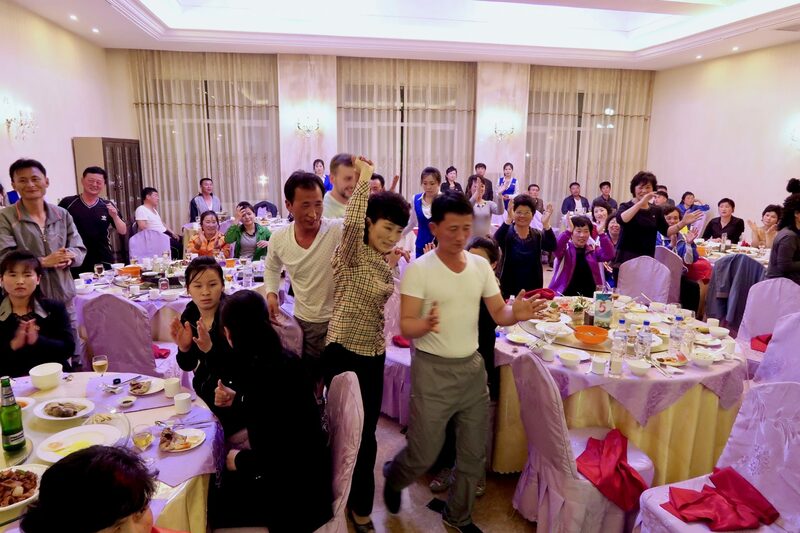 Join the locals at East Pyongyang’s most popular lunch spot. This is the only place in Pyongyang where we can exchange our foreign currency for local currency and choose from a wide range of buffet food – food court style! Home to the cheapest draft beers in Pyongyang at 20 cents a pop. Dinner at Chaesong Restaurant – a conveyor belt shabu shabu restaurant only recently opened to tourists and one of the most unique, new restaurants showcasing a changing Pyongyang restaurant scene. 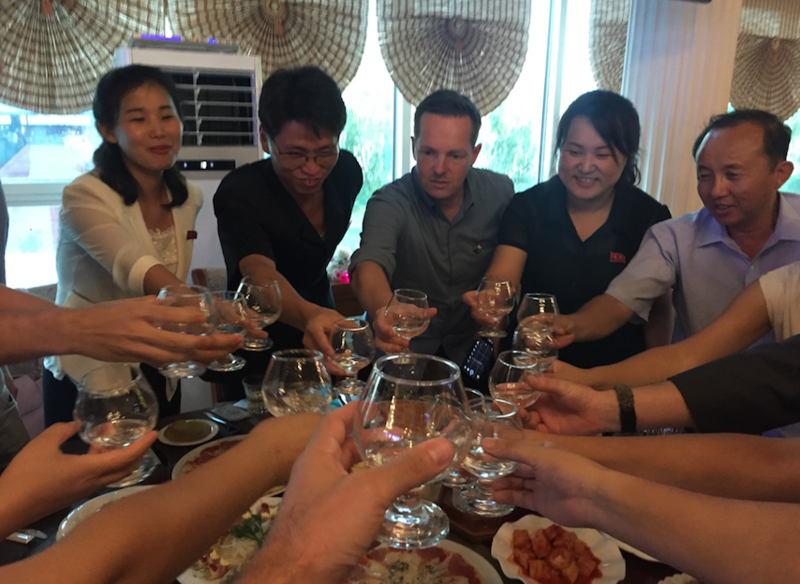 After dinner we’ll head back to the hotel for a special North Korean liquor tasting night with a resident expert in all things locally-made North Korean liquor. 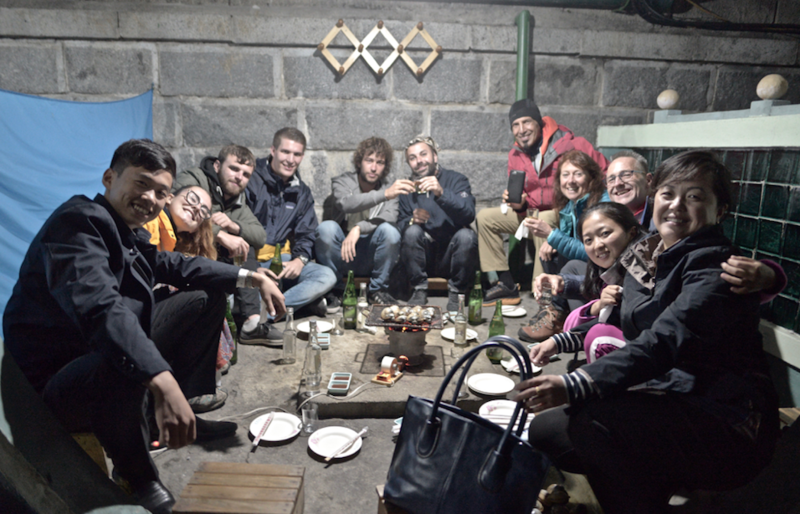 With tasting notes we’ll try soju, makgeolli, red wine, brandy and sake all made locally in the DPRK. Morning stroll from the Grand Theatre down to Kim Il Sung Square – the Central Square of Pyongyang city and the place where all the action happens! Foreign Language Bookshop – with a large selection of books (even North Korea cook books!) in English and other European Languages as well as other souvenirs. 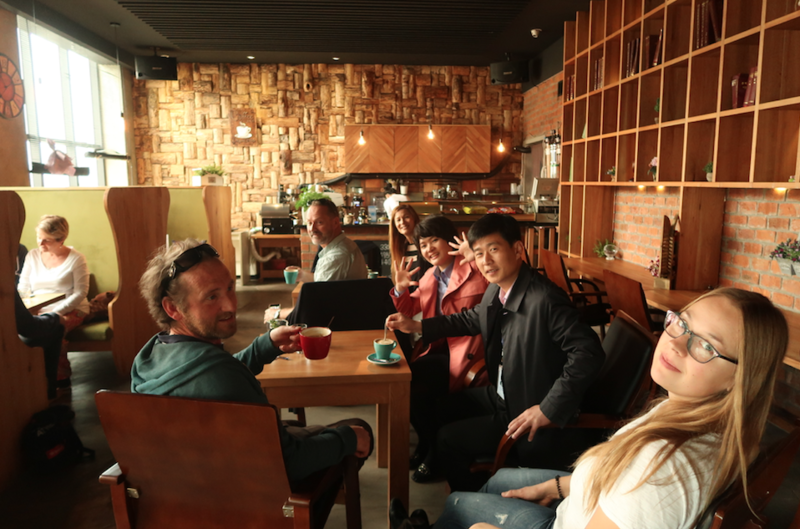 Sample Pyongyang’s burgeoning café culture at what we like to dub Pyongyang’s first ‘hipster café’ – the Kumrung Café. (Coffee of your choice at extra cost). Head next door to Gold Lane Bowling Alley to bowl with the locals and experience the ‘4D Cinema’ complete with battle scenes against U.S. war ships! For lunch we’re heading to a Cooking Class where we will learn how to prepare a series of traditional Korean foods that we’ll prepare for our own lunch. Trip highlight! After lunch we’ll head to a very special visit to the Taedonggang Beer Brewery. North Korea’s most famous beer, this is the only tour that visits the brewery itself. After a tour of the brewery we’ll be able to sample the eight different varieties of beer at the brewery’s bar. Stroll down the recently opened Mirae Future Scientist Street to see the futurist socialist architecture. Great for night photography. The DMZ – See the rapidly changing face of what was once one of the most tense places on earth with the help of a friendly KPA officer who will not only give you a guided tour but also keep you safe. Also the only place you can take photographs of and even with a soldier! 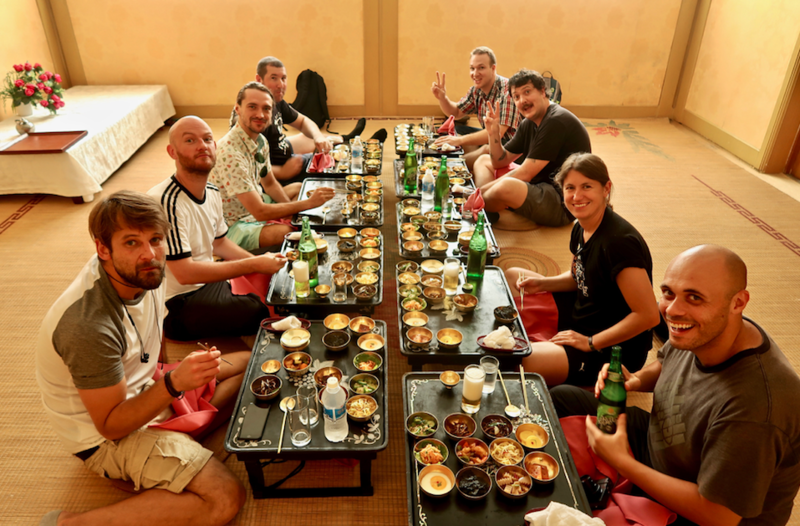 Head to the Kaesong Minsok Folklore Hotel where we’ll take part in a traditional Korean Bean Cake making workshop which we’ll enjoy with our traditional lunch of Korean Pasangi, a series of dishes served in bronze bowls. (Optional local specialty extras include ‘Sweet Meat Soup,’ otherwise known as dog soup (5 euro) or locally grown Ginseng stuffed whole chicken (30 euro) which can be split between several people). Try a locally-brewed fermented rice wine Makkoli in the local tea house. 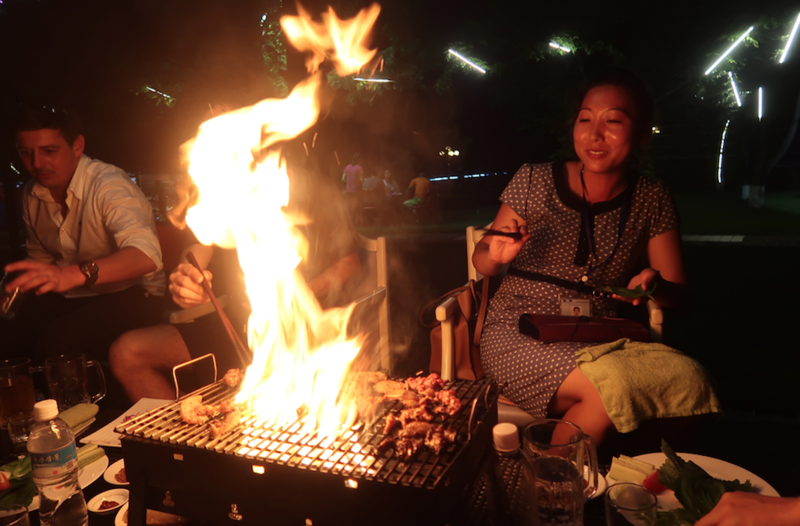 Dinner at the famous Pyongyang Duck BBQ restaurant for a quintessential Korean BBQ experience – Pyongyang style. Early departure to visit the Ostrich Farm just outside of Pyongyang. Ostriches here are farmed for their meat and eggs. The eggs can feed up to ten people and are said to be a source of protein for the military. 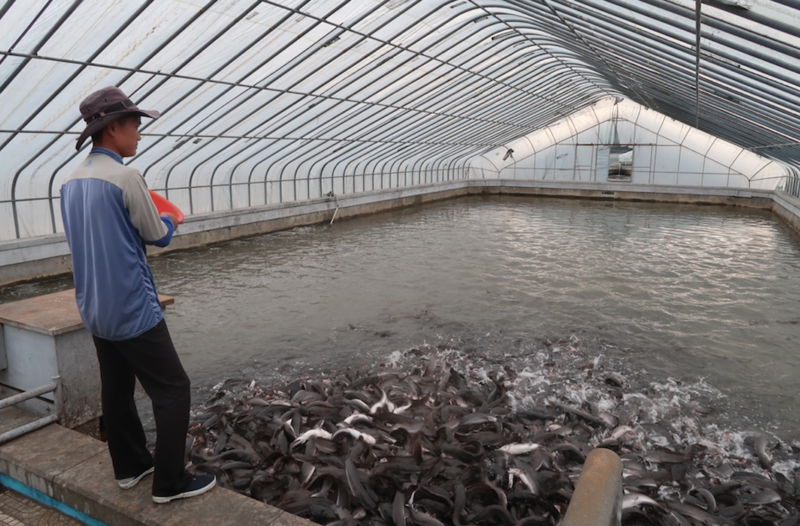 Next we’ll head to the Catfish Farm to see the processes of catfish being farmed, frozen and distributed. Here we can also try their smoked and dried catfish jerky. Surprisingly delicious! Rakwon Beer Bar, a small micro-brewery and bar for some pints with the optional extra visit to pay a visit to the famous Kenji Fujimoto Sushi Bar. This little sushi bar is owned by the once private chef of General Kim Jong Il. (Sushi at extra cost depending on your appetite). Head to Munsu Water Park for a little end-of-tour R&R with indoor and outdoor pools and amazing waterslides. The park also features plenty for those who don’t want to swim, including a Haemaji coffee shop, a beer bar, table tennis, billiards, massage, or a beauty salon (various services extra charge, swimming and access to the gym, table tennis and billiards is 10 euro). Farewell dinner at the Ryugyong Restaurant. With the teppanyaki chef here having cooked not only once, but twice for Marshall Kim Jong Un, this is one of, if not Pyongyang’s fanciest establishment. Flight members depart at 2:00pm for Beijing on Air Koryo. (Arriving at 5:00pm Beijing time). 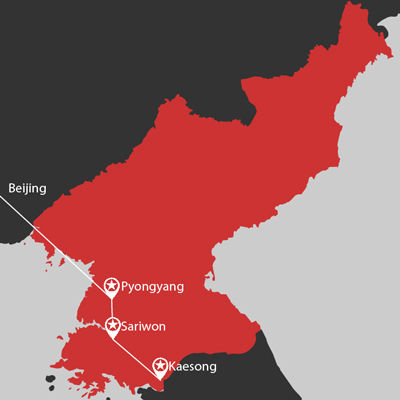 Our flight members will have extra activities TBC in Pyongyang before departure. Experience some of Pyongyang's best new restaurants and street food not usually available on tours. Visit the Taedonggang Beer Brewery to see the DPRK's most famous beer being produced. See food production techniques at visits to the Ostrich Farm and Catfish Farms. 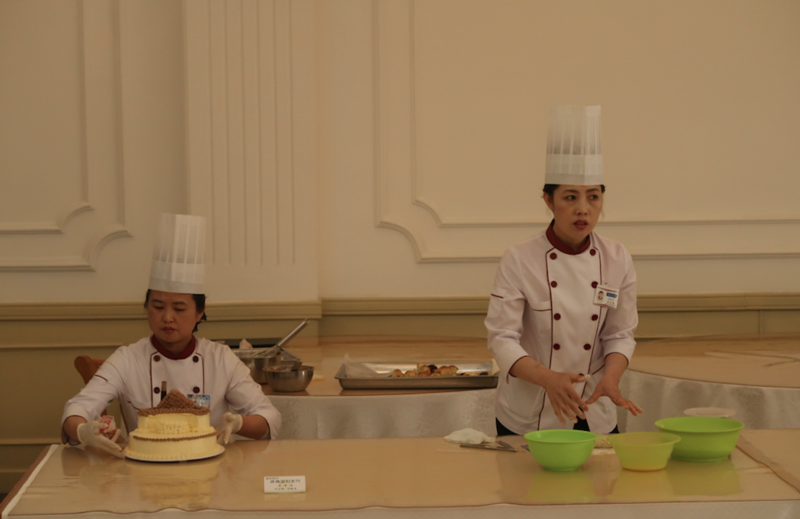 Take a DPRKorean Cooking Class in Pyongyang. Visit the DMZ, Kaesong and Sariwon cities.